Nectar Leaf is made from a particularly therapeutic strain of organic imported European hemp that is rich in cannabidiol (CBD). 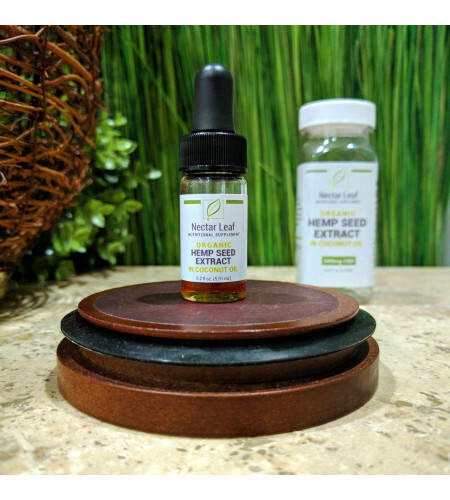 It's standardized to ensure that each bottle contains the stated amount of CBD (10% by weight) and is verified by an independent third party. The hemp oil is mixed with coconut oil to achieve 10% CBD by weight. The suggested dosage is half of a dropper, held under the tongue for a few seconds before swallowing. 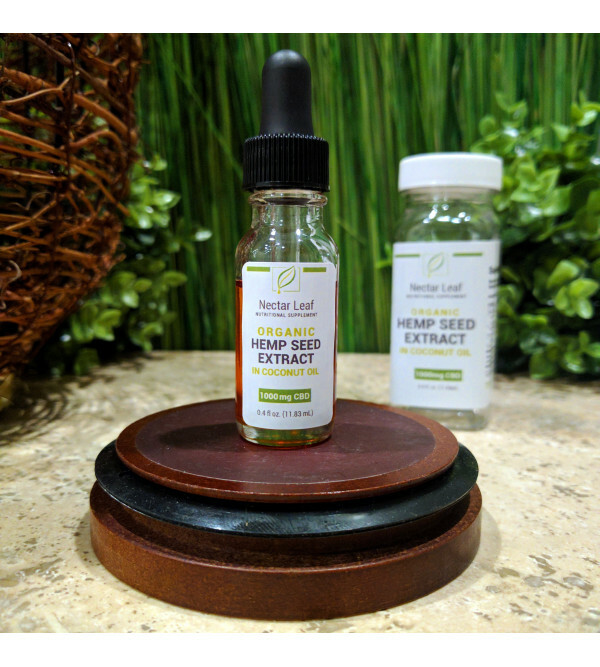 This oil comes in two sizes, one containing 500mg CBD (0.2 fl oz) and one containing 1000mg CBD (0.4 fl oz). CBD is non-psychoactive. This product contains no THC, and is in compliance with the 2014 Farm Bill.